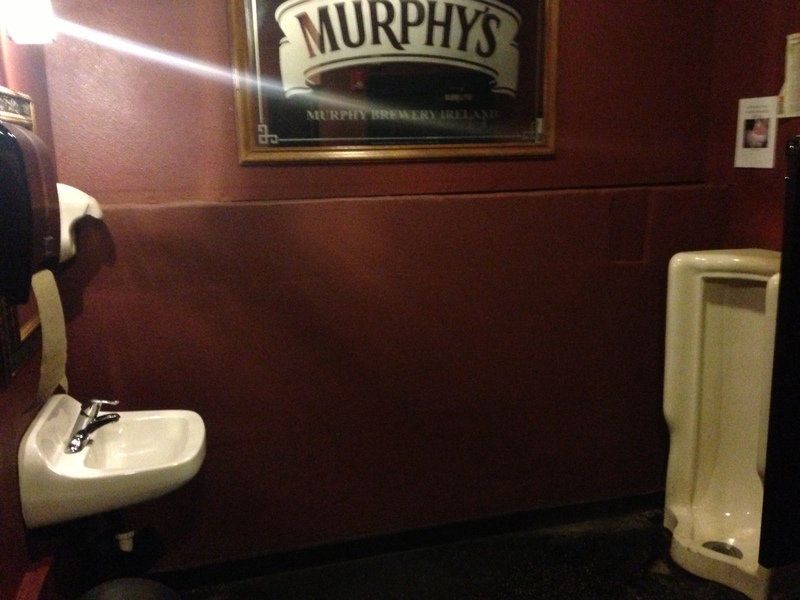 Mulleady’s Irish Bar: Urinal For Giants! | Shits and Giggles: A Seattle bathroom tour! 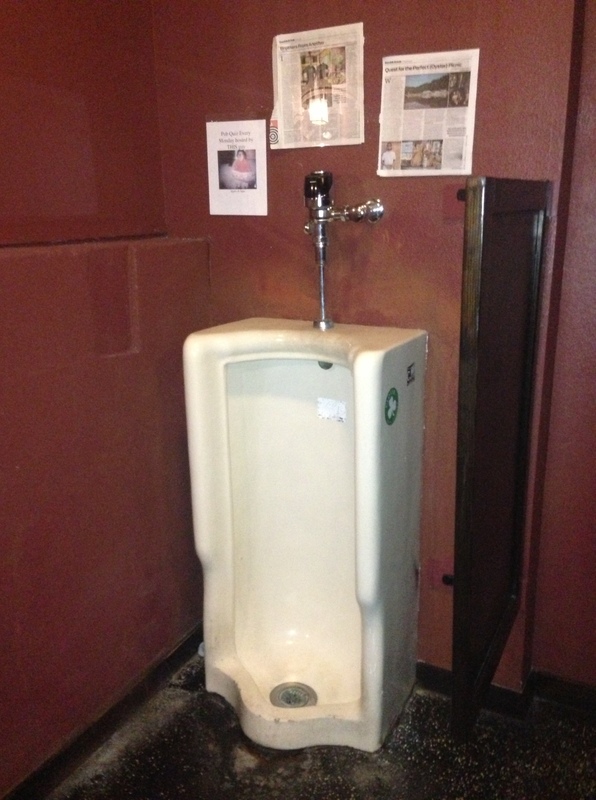 Mulleady’s Irish Bar: Urinal For Giants! Mulleady’s is a neat and clean Irish bar in Magnolia. It’s not your Irish bar in a box, nor divey. They have slick bar tables, and the menu is a bit top scale fancy Irish fare. They have an excellent happy hour, and are located near Softball fields and soccer fields, so hit them up after the game for good beers on tap! The highlight of Mulleady’s bathroom is the giant large white urinal that will transform you into a elementary school child again. In your current adult form, it’s massive height and width is sure to remind you what it felt like when you were six in front of those industrial white urinals. This is one of my favorite toilets I’ve ever experienced! It feels like a Hollywood prop that was used for Honey I shrunk the Kids or something. The rest of the bathroom at Mulleady’s is standard size, and everything is clean and in order. 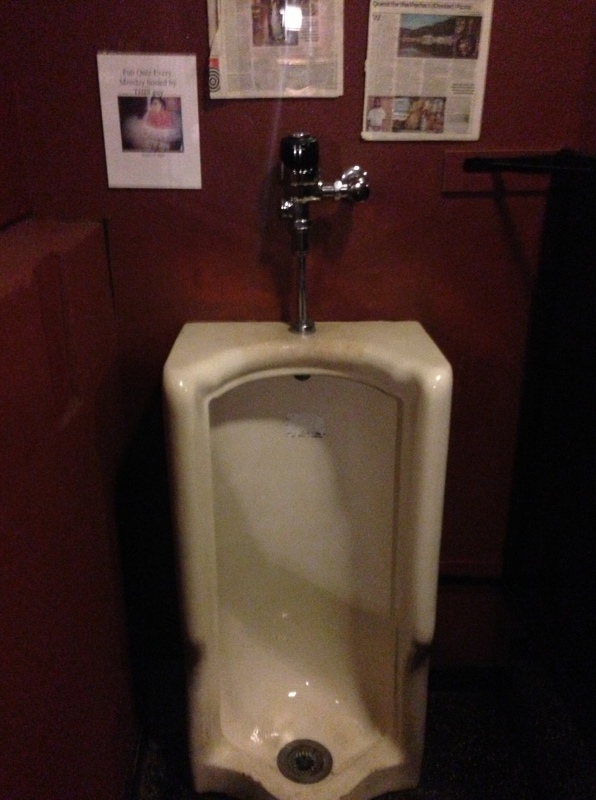 This entry was posted in reviews and tagged bathroom reviews, big urinal, giant toilet, giant urinal, irish bar, magnolia, mulleady's, Seattle, shits and giggles. Bookmark the permalink. ← In the Bowl: Bathroom Garden Getaway!